I’m used to seeing food trucks parked on major streets around Los Angeles and was surprised to see a Celebrity Cruise food truck parked in Pasadena. This summer Celebrity Cruises hit the road visiting various sites in Los Angeles, Orange County, Ventura, Riverside, and even Palm Springs. The “Taste of Modern Luxury Culinary & Spa Tour,” is Celebrity’s first-ever gourmet restaurant on wheels. Skilled chefs prepare dishes found in the restaurants on its fleet of 11 ships. 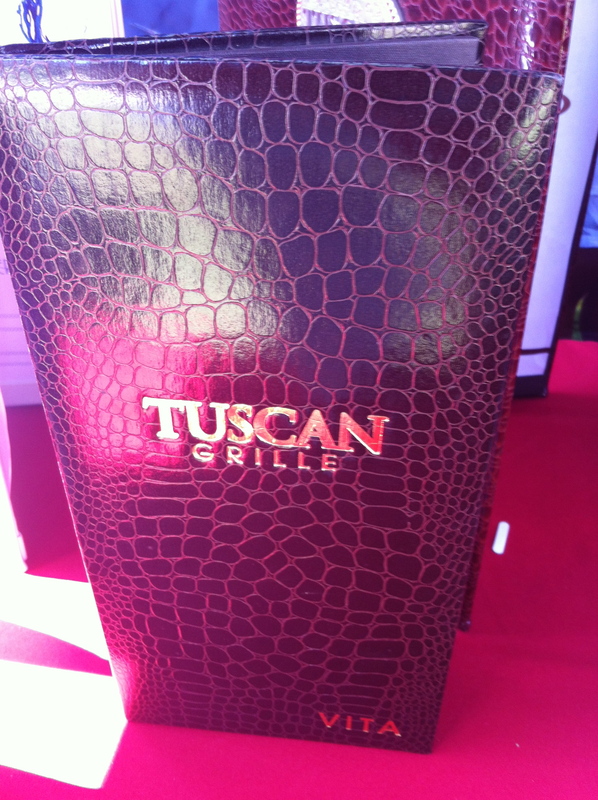 The food truck menu offers crab cakes with roasted pepper capanota that taste just like the ones served in Tuscan Grille. Barbecued baby-back pork spring rolls with a chipotle cole slaw are similar to the dish onboard at QSine and a grilled chicken with basil pesto panini is the same recipe served at the Porch. Other menu items served from the truck are from the Celebrity Cruises’ signature restaurants Bistro on Five and Grand Epernay. Each dish is $8 with a beverage. Celebrity donates 50% of the food truck proceeds to a charity. While waiting for your order to be prepared, Celebrity has a AquaSpa staff member offering free shoulder massages. Visitors can also enter their names to win a free Celebrity Cruise vacation. There are plenty of brochures for you to take of upcoming cruises to the Caribbean, Asia – Pacific, Alaska and Europe. 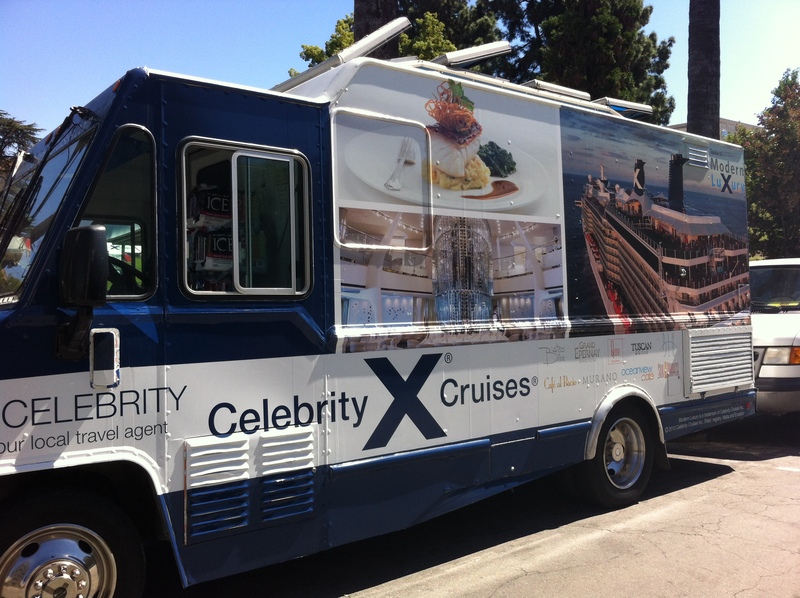 On the Celebrity Cruise website they are offering the food truck to come to your corporate campus or event. Click on this link: http://www.celebritycruises.com/genericHtmlTemplate.do?cid=mul_mul_mul_brndgn_1301_mul_mul_la_9710&pagename=taste_of_modern_luxury_tour. Tell Celebrity Cruises why the “Taste of Modern Luxury Culinary & Spa Tour” should come to your upcoming event by emailing to SoCalEvents@celebrity.com.